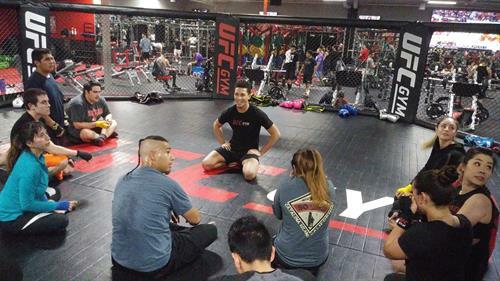 UFC La Mirada is the WORLD'S LARGEST UFC Gym (47,000 sq ft)! 3 facilities under one roof. Traditional Fitness, with 3 times the equipment of your average gym. Functional Training facility, full turf, tires, sled, ropes (Bootcamps, HIIT, TRX, etc). Martial Arts; Boxing, Kickboxing, Wrestling, Brazilian Jiu-Jitsu. Open 24/7 with Youth Programs from 6-11. Contact Julian Duran for VENDOR opportunities (1500+ attendees for each event).